Mattress stitch makes a practically invisible and nicely flexible seam for joining pieces side to side. You can’t use mattress stitch successfully, however, on pieces that don’t have the same number of rows or a difference of only 1 or 2 rows. 1Lay out your pieces next to each other, right sides facing up, bottom edges toward you. You seam from the bottom edge up. If you’ve left a tail of yarn at the cast-on edge, you can use it to get started. 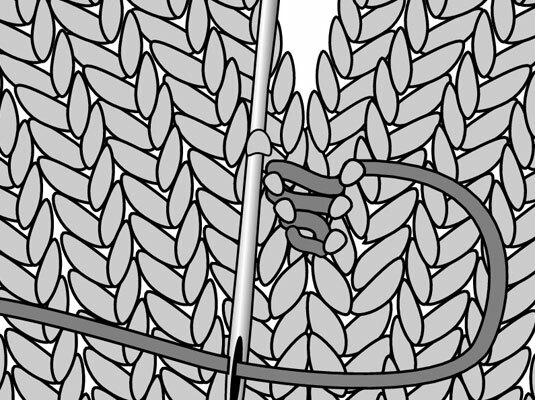 2Locate the running thread between the first and second stitches on the bottom row of one piece. 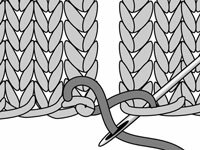 Gently pull apart the first 2 edge stitches to see the series of little horizontal — running — threads connecting them. 3Thread the tail of yarn or a fresh piece on a tapestry needle. 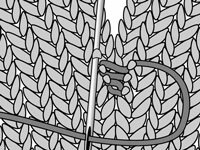 Make sure your tapestry needle is blunt to avoid piercing the yarn. 4Join the bottom edges of the pieces, using a figure eight. 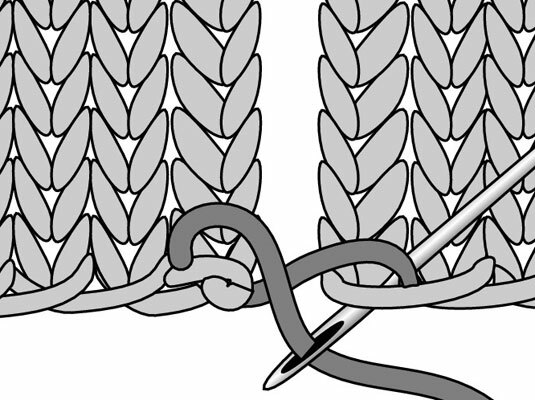 Work through the two threads on the cast-on row. 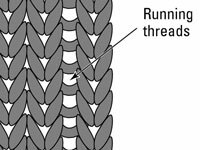 5Bring your needle under the thread; then pick up the running thread between the first and second stitches on the opposing piece. 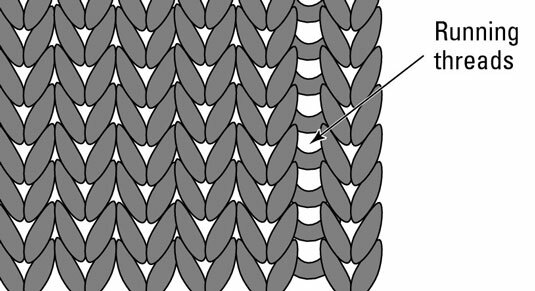 This step begins your mattress stitch pattern. 6Work back and forth from running thread to running thread to running thread, keeping the tension easy but firm. Check the tension by pulling laterally on the seam from time to time. The amount of give should be the same as between 2 stitches.